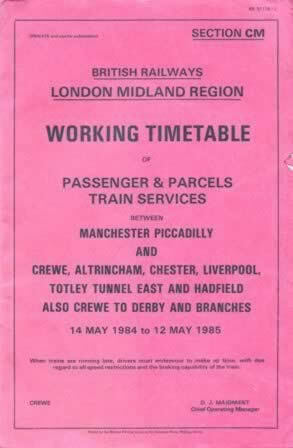 British Railways-LMR-Working Timetable (Ex Manchester Picadilly) 14/05/84- 12/05/85. 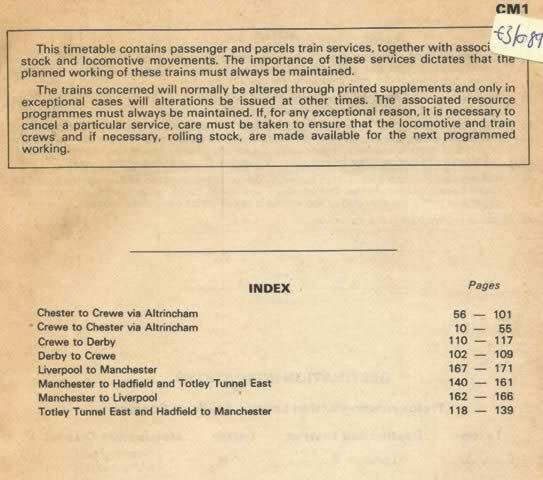 This timetable is a reprint of an original timetable. This edition is a second hand copy which is in a Reasonable Condition. However, the front cover has a very slight tear in it.